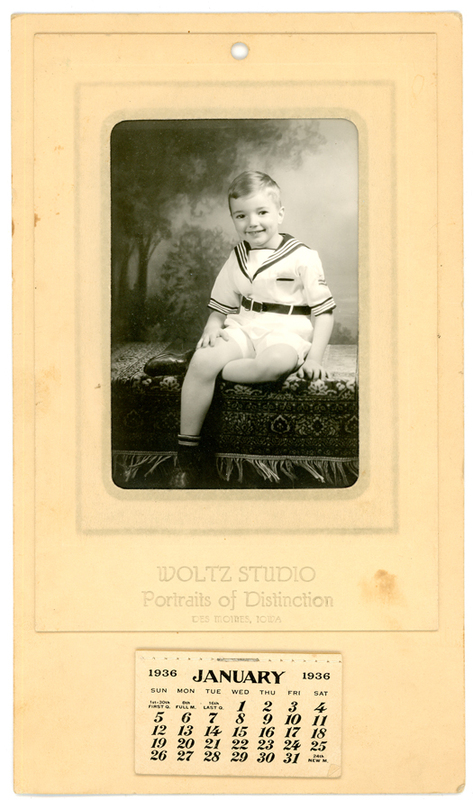 Richard Bressler, Wayne, Nebraska. Happy New Year! I’m beginning the 3rd year of This I Leave with my 221st blog post. And I am grateful to the 117 folks who follow this blog and add so much to it. 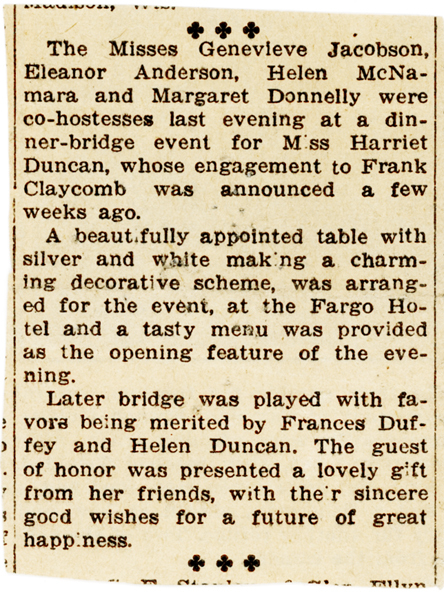 Mom was the guest of honor at many bridal showers before her wedding. 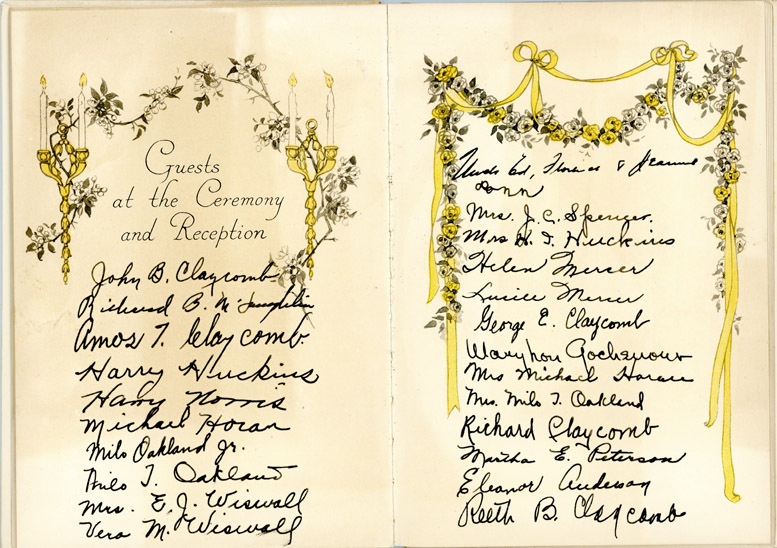 Her co-workers at the Central Illinois Light Company gave a combined shower and farewell party. 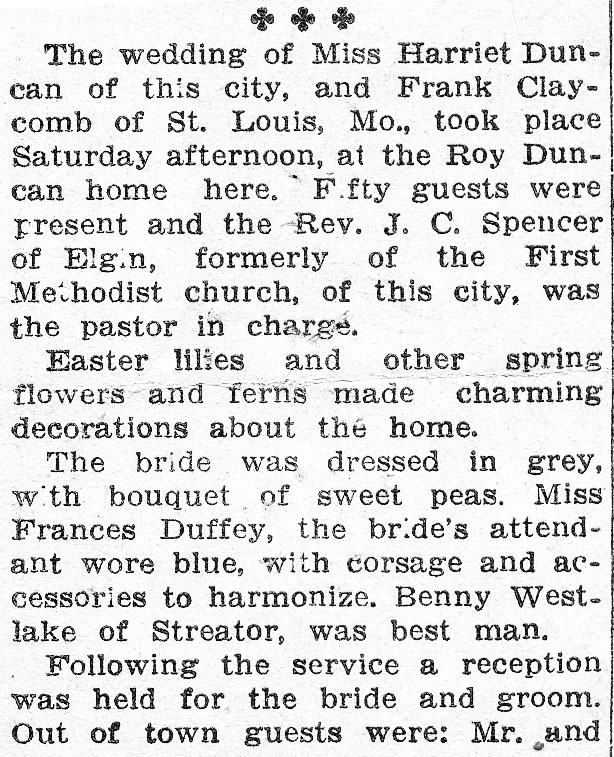 This society page entry was follow by a correction in the hostesses’ names – wouldn’t want to leave anyone out or give credit not earned. I can imagine there was a call to the newspaper after the first article appeared. 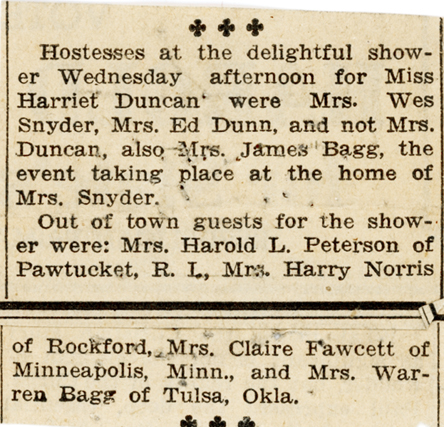 This shower took place at the Fargo Hotel which still exists. I’m considering staying at the Fargo on my next visit. Here Harriet’s aunts and grandmothers gave her a shower. 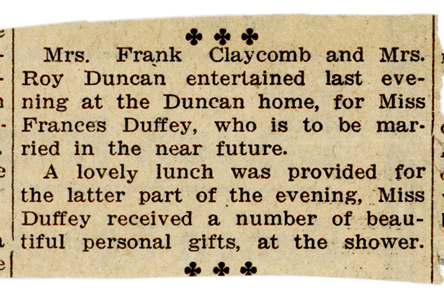 And finally one hosted by her best friend, Frances Duffey. 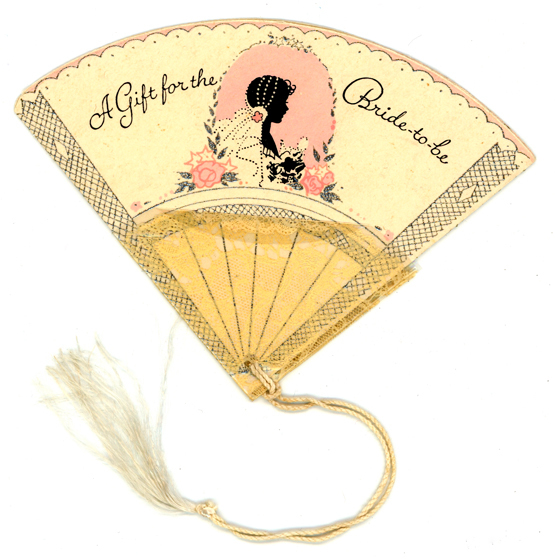 There were ‘gifts of a personal nature’ – and I’m guessing lots of laughter. 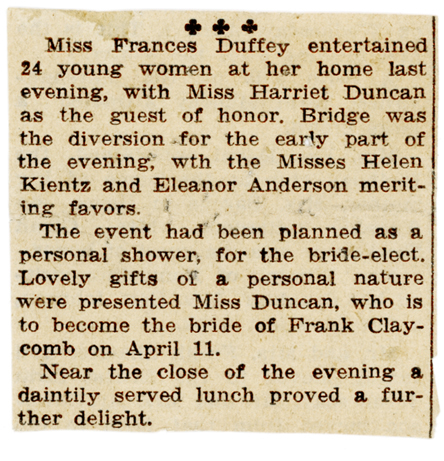 Later when Fran was engaged, mom threw her a shower. As best friends do. 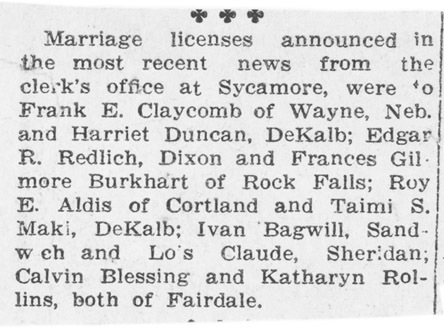 From a DeKalb county paper, 1936. April 11th is my parents’ anniversary. 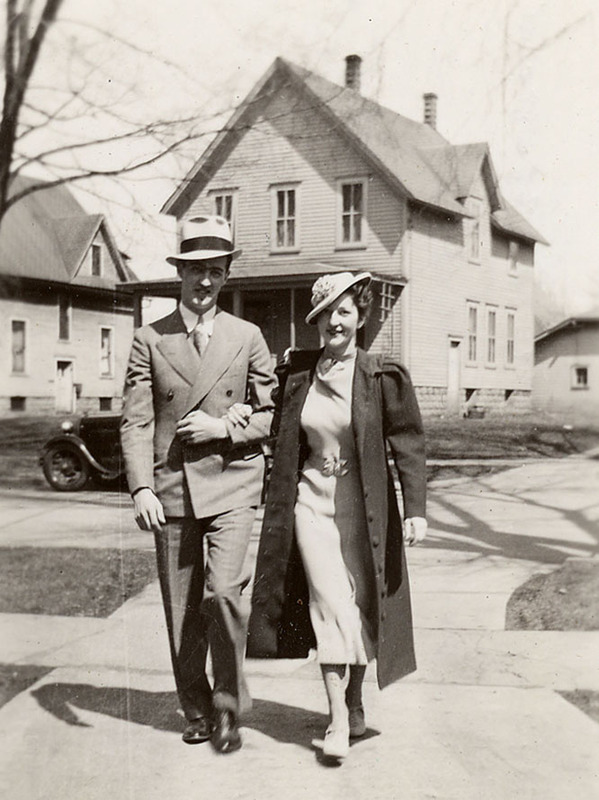 They married in 1936, so this would be their 78th. 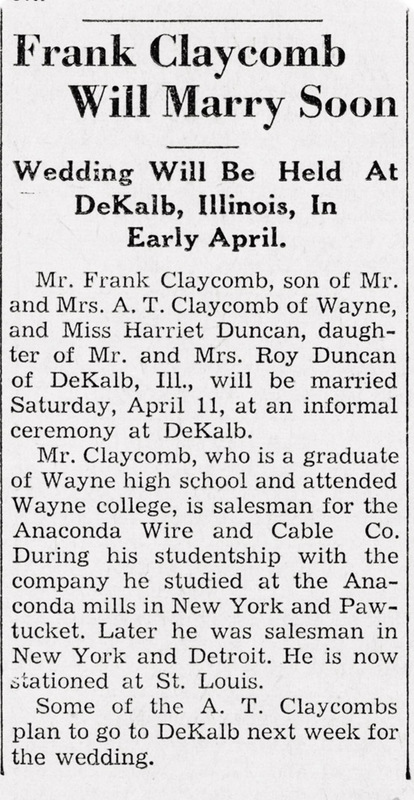 Announcement from The Wayne Herald, Wayne, Nebraska. Wedding Guests. 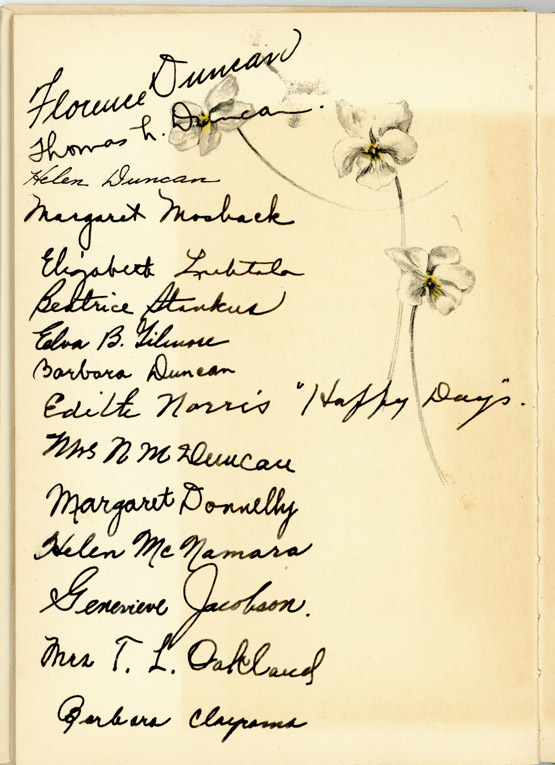 I love seeing signatures of family and friends. 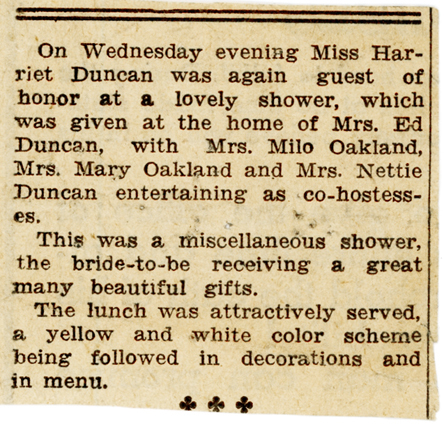 Mrs. N. M. Duncan is Nettie MaryJane Patchen Duncan, Harriet’s paternal grandmother. 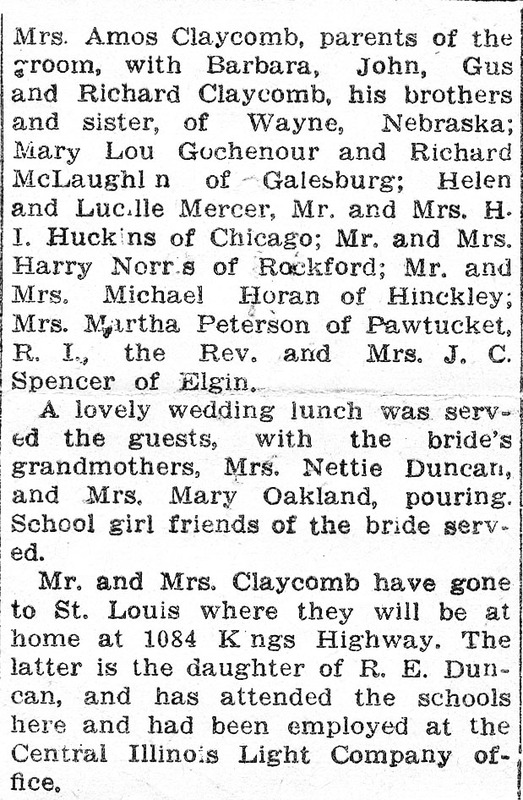 Mrs. T. L. Oakland is MaryAnn Sanderson Oakland, Harriet’s maternal grandmother. 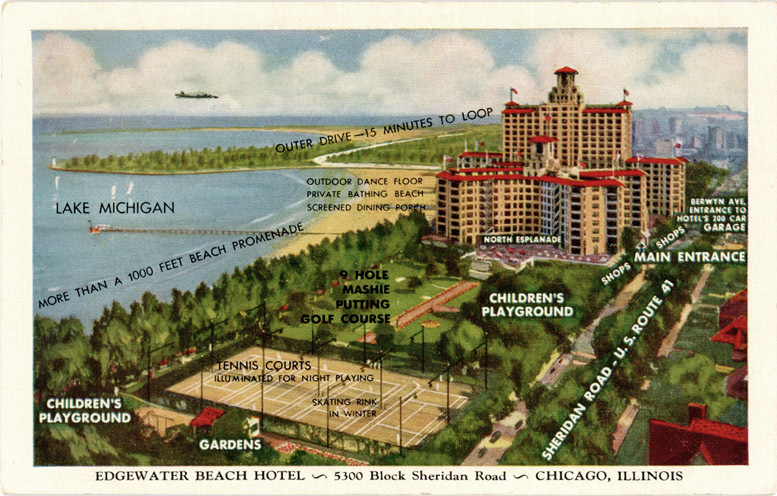 They honeymooned at the Edgewater Beach Hotel in Chicago, where they danced to the big band sound of Skinnay Ennis and his orchestra. 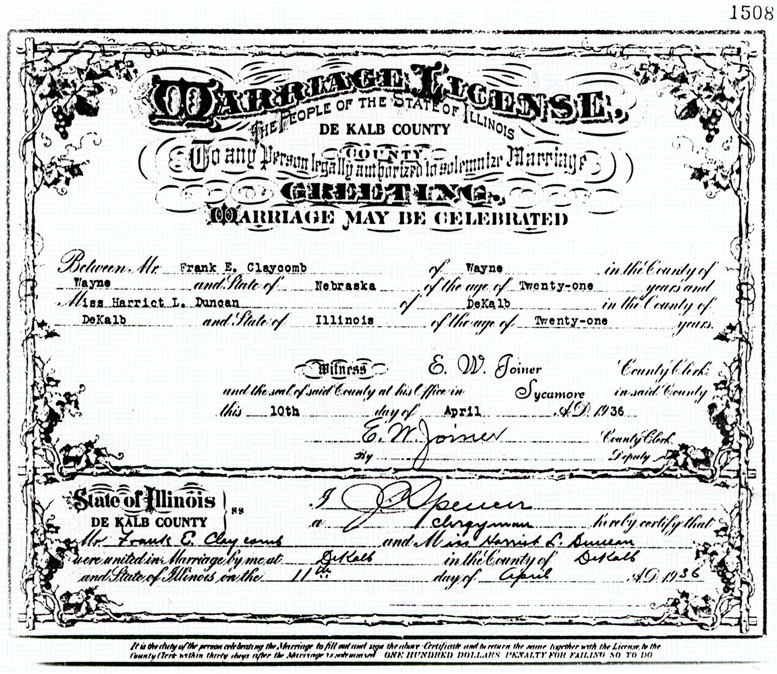 On their 60th anniversary in 1996, their first great-grandchild was born. So here’s a very happy 18th birthday to Jack!